Ready to get some real Instagram likes, mentions and followers at the lowest price? When it comes to enhancing a brand’s exposure and interaction with customers, nothing can beat the power of social media. You have Facebook, Twitter, Pinterest, Instagram and a lot other social channels to have a powerful user engagement and visibility of your business. The power of images and visuals further influences a business in an exponential manner. That is the reason, Instagram automation has become an integral part of social media management tools. But only automating the Instagram activities is not everything that will gain you an edge over your competitors, the count of followers is a preliminary factor in achieving the desired success. That's why we recommend you to buy real Instagram followers and likes at a cheap price. Being one of the fastest growing social media channels, Instagram offers a platform from where you can gain an increased exposure. If you want to have an improved visibility with enhanced exposure, buy followers for Instagram. 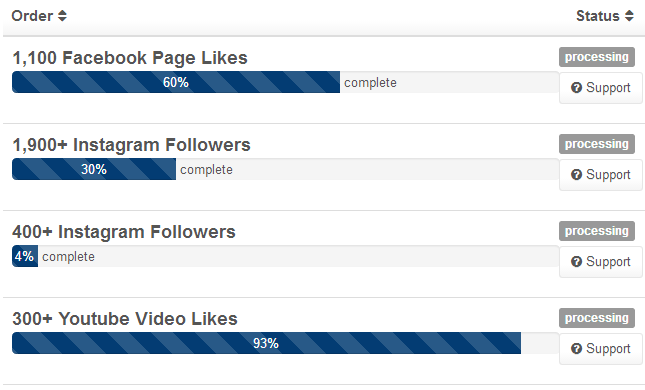 Having more followers, you will be able to have more likes and shares on your images and visuals. When you buy real and active Instagram followers, your trending stuff will get shared on a large scale. Purchasing such likes or followers from a legitimate third party seller will yield genuine followers only. Such followers will share your stuff and you can have more likes, views, and shares. In order to achieve higher rankings in search engines and qualified leads, it is important to come up as an authority figure in the target industry. With a huge fan following on Instagram will represent you as a trusted figure in the industry. So, more people will start following you there, and in turn, you can have regular users that might transform into customers. It is the high time to leverage your marketing efforts by purchasing genuine and original Instagram followers or likes. This powerful social media management and marketing software is embedded with Buy Likes/Followers feature as well that lets you enjoy a genuine fan following without any risk of getting terminated due to fake accounts or followers. 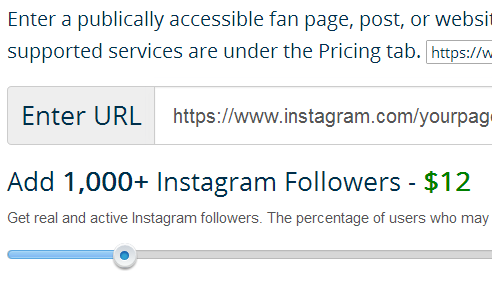 If you are thinking about how to buy Instagram followers using Fan Page Robot, and what benefits you will be earning, these details will help you out. The entire process is much easier than any other providers. Simply click on the Boost Likes button, and enter the URL for which you want to avail the services. The system will automatically start to process your requests. This all is merely a matter of two to three clicks. And you will have the desired number of real and genuine Instagram followers in an affordable way. Fan Page Robot offers genuine selling service for likes, followers, and subscribers. With an extensive network of high-authority blogs, forums, and websites, the software will give you a diverse kind of fan base. You will be able to earn likes and followers from USA, Canda, Asia and Europe in particular. With this social media dashboard, you will not have any worries of fake followers. Our software brings 100% original followers to your Instagram profile. No fake followers or bots will be there. When you buy real followers on Instagram, it will potentially influence the interaction ratio and there will be more shares, comments and likes on your stuff. This, in turn, results in an increased visibility with lead generation. When you opt to buy real Instagram followers from a legitimate service like Fan Page Robot, there not remains any issue of account termination. The software offers this service in compliance with Terms of Services of Instagram. Although, the channel continuously monitors fake users and accounts. And bans such accounts once they are detected. But Instagram does not impose any restriction on buying likes or followers. So, you can easily purchase likes/followers from a trustworthy service like Fan Page Robot that does not provide any fake follower or like. So, you can enjoy a long-term success by availing this service without any risk of being eliminated. What makes Fan Page Robot a real service provider in this regard, is the unbeatable lower prices offered by the software. It allows you to buy followers for Instagram with the least prices and high-quality results. Under the Pricing tab, you will find prices of all available services. Purchasing likes, follower, subscribers and views from a trustworthy third party seller will allow you to witness the real growth in your visibility and sales.